Exclusive! Charming hummingbirds flit merrily among a garden of bright floral blooms. 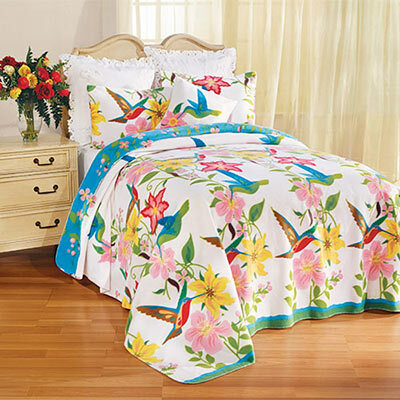 A stunning design and vibrant colours add beauty and grace to any bedroom. Super soft, whisper-weight polyester Hummingbird Garden fleece blankets and accessories make this an ideal option for any season. Easy-care; machine wash. Imported. Pattern placement may vary slightly. &King Blanket - 106" x 90"